When Rose Levy Beranbaum wrote her UK version of The Cake Bible, self-raising flour in the UK was still bleached even although plain flour was untreated. The trusty Food Industries Manual suggests that this was purely because people wanted the colour of self-raising flour to be bright rather than because it was necessary for the success of the recipes they were using … which was fortuitous for Rose but perhaps helps explain why there was no apparent demand by home-bakers in the UK for a replacement to bleached flour when chlorination was prohibited in 2000. Since chemically aerated goods are baked shortly after the dough has been made, there is no opportunity for the gluten to ‘ripen’ hence self-raising flours need to be weaker and to contain less proteinous material than bread flours. Since starting out on my flour quest, it has been a source of great frustration to me that self-raising flour has a lower protein content than plain and 00 grade flours. McDougall’s Supreme Sponge flour with its finely-milled soft wheats and 8% protein content has been sitting, laughing mockingly at me on the shelf of every supermarket. Why couldn’t they just leave out the baking powder and let me have some of it ‘plain’ and unadulterated? I wasn’t sure what would happen to the baking powder components if I microwaved this self-raising flour … would they be deactivated by the heat, or would they remain unaffected until there was sufficient moisture for a reaction? Was it single-acting or double-acting baking powder? Would it explode?! My head was already spinning and that was even before I delved into the chemical formulations! Well, today I finally took the drastic step of nuking it regardless. I would never have believed that the two cakes I made this afternoon used exactly the same starting flour and exactly the same recipe, and were baked under as near to exactly the same conditions as is possible in my kitchen … only the flour in one cake was given the kate-flour treatment whilst in the other it was used straight from the packet. 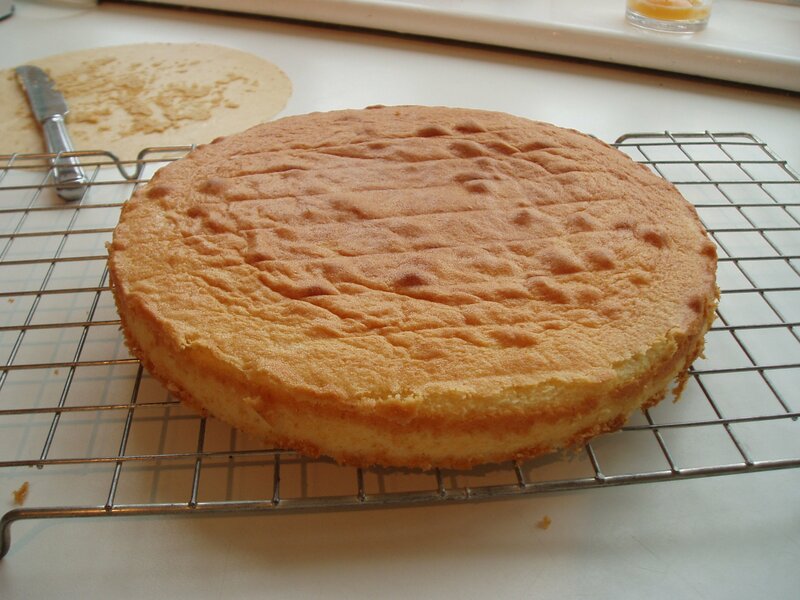 Here’s the first – Rose’s Yellow Butter Cake recipe made with McDougall’s Supreme Self-Raising Sponge flour, untreated. Here’s the same cake made with kate flour. I didn’t expect it to work. I almost forgot to take it out of the oven, I was so sure it would be a total flop … literally, as I’d gone for the US recipe and assumed that the flour was no longer self-raising after it had been microwaved. Instead, this cake has almost exactly the same vital statistics as a 9 x 1 1/2 inch cake made with authentic cake flour! (Info for Woody: height of batter in pan = 1.9 cms; 27 mins baking time; height at sides = 3.2 cms; height in middle = 4.2 cms). 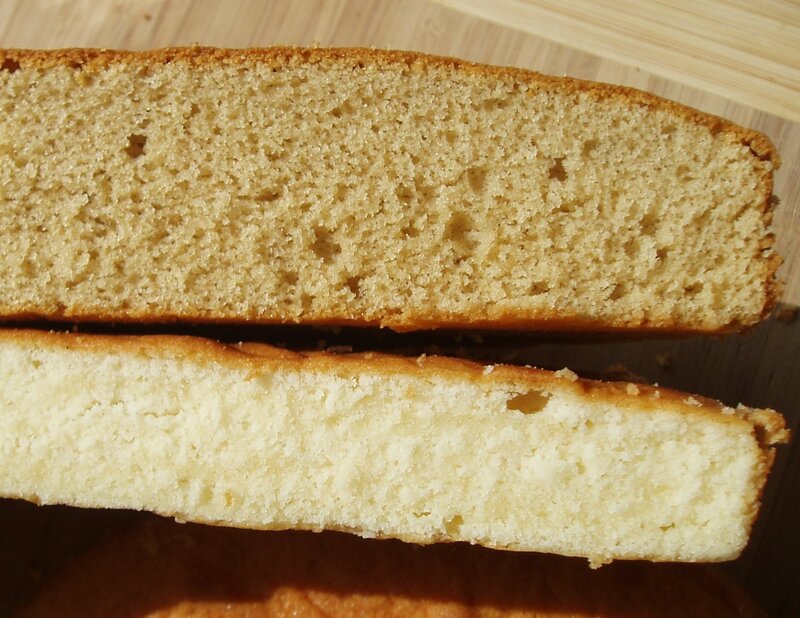 The only thing … it seems you can either have cake-flour colour … or cake-flour crumb … but not both at once! brilliant!!! and who cares about the color. why didn’t i think of it–microwaving the self-raising to activate or rather DEactivate the leavening. i do hope you didn’t add salt as THAT doesn’t get deactivated!!! I used the amount of salt that you wrote for the UK recipe (you should see my copy of the UK Cake Bible – it looks more like your ms before publishing now, it’s been edited so much!!). My husband thinks the colour is a bit off-putting … but if it was the basis of a chocolate cake or coffee and walnut cake or cinnamon cake or whatever … you would never know! Bravo, Kate, you don’t give up easily do you!! This calls for a quick visit to the supermarket methinks, I must have a go at this. There are so many of Rose’s recipes crying out to me to be tried I really hope this is the breakthrough we’ve been waiting for, thanks to you again. I will keep you posted. I think you need to microwave this flour in short bursts as it’s so fine it burns very easily – I did no more than 30 secs at a time at 750W. I used my cheap candy/jam-making thermometer (my probe one is broken) but it was very useful actually being able to see the temperature increasing up to 130 degrees C rather than just waiting for a number to appear! I also added 1/4tsp xanthan gum to the dry ingredients – as in kate-x flour – but I haven’t made a cake with this flour without the gum, so I don’t know how much it contributed. It certainly made a difference to the viscosity and final crumb last time I tried it, so it might be worth giving it a go too. Good luck – do let me know what happens! Again, this is very interesting. I hadn’t thought to use the SR variety either. You certainly are a tenacious scientist! Were you happy with the taste? Any noticeable difference? I made a chocolate cake (the All American Perfect one) yesterday with this flour and it was beautiful in colour, texture and taste – by far the best results I’ve had so far with UK flour in the recipe. The yellow cake pictured above had a caramelly twang from the flour, although my husband’s work colleagues all apparently thought it was delicious (they certainly didn’t leave any of it!). Have been a long time fan of your site but this is my first time posting here (found you via Rose’s blog!). Just wanted to say thank you for such amazing and interesting work Kate! I will try this out on some Aussie flours and let you know the results! Just to clarify, you didn’t re-hydrate the flour after you microwaved it, as described in the previous post? Also, how much X-gum did you add per 100g? Thanks, Cate – I’m looking forward to hearing how Aussie flours work! Hi Lauren 🙂 – no, I didn’t rehydrate this flour … mainly because I wasn’t sure what would have happened to the baking powder during the microwaving and I thought giving it all a steam bath would just make it even more difficult to tell what was going on! 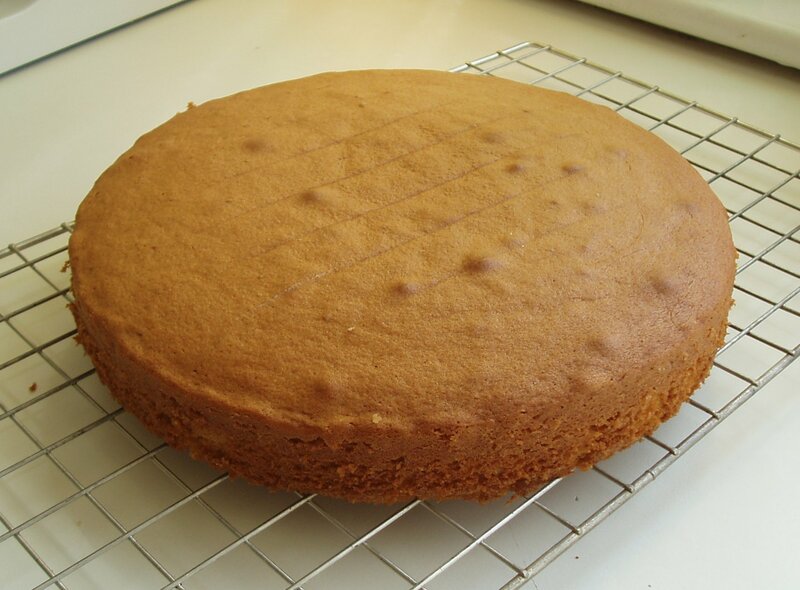 The cake was beautifully moist without the steaming … but I haven’t compared results directly on this. Thanks for that, Cate. There’s a similar study of Rapid Visco Analyser measurements of the viscosity properties of starch here … I wonder how difficult it is to get access to one of these instruments?! I have been following your progress on Kate Flour for several months now, and I just wanted to say THANKS! Also, I wanted to ask did you add cornflour to the self-raising flour as well as the xanthan gum?